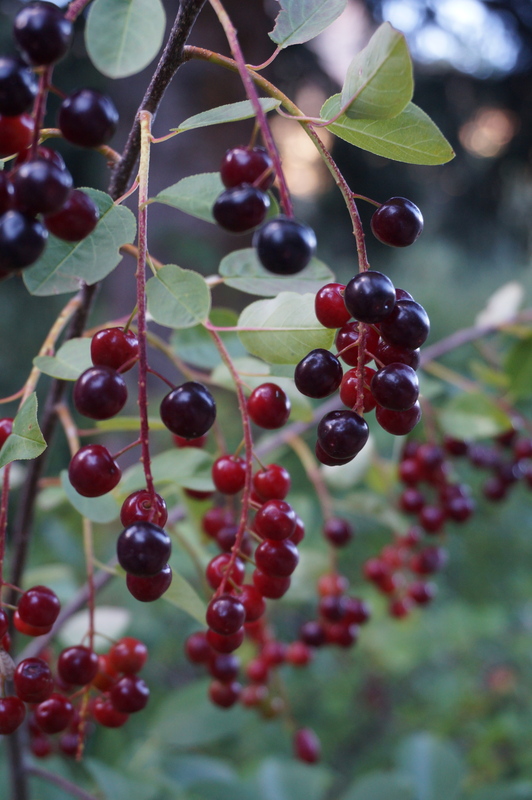 In the mountains, my favorite food of late summer is Chokecherries. They are a bit hard to get to when it’s still a shrub, because the branches are weak, but we Pine Squirrels manage. 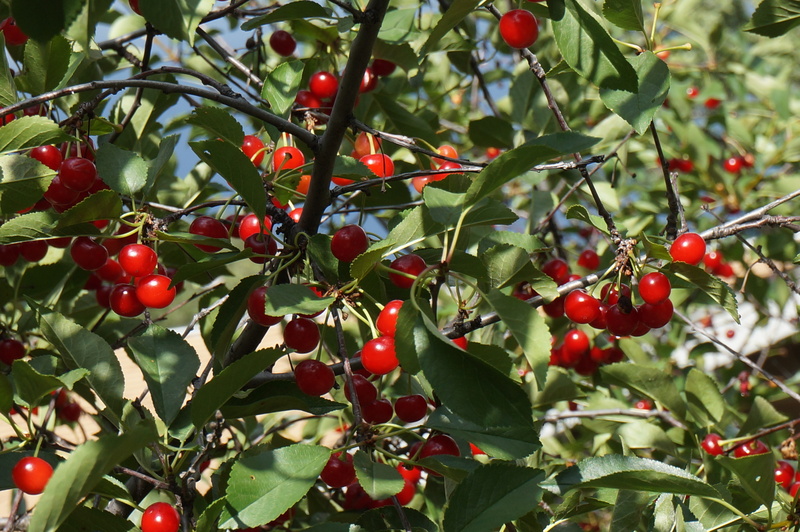 When the chokecherry grows to a small tree it’s easier for us to reach the fruits at the branch tips. Unfortunately, we have to share this treat. 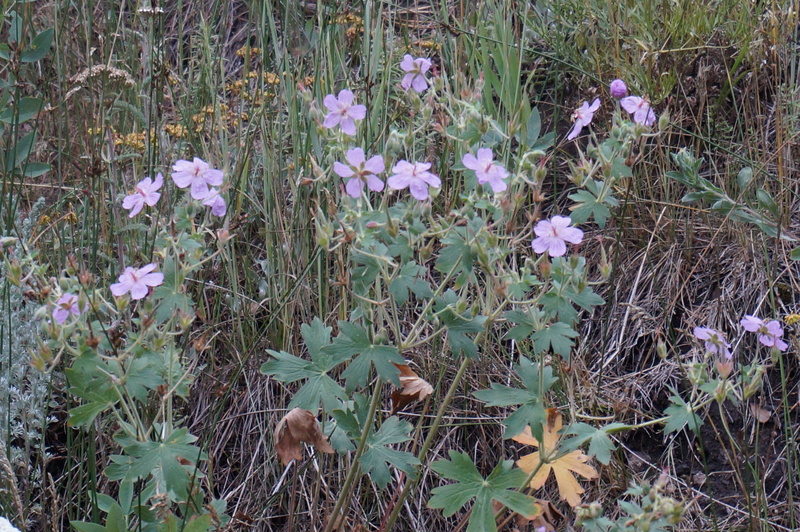 Bears, fox, coyotes, grouse, and even bighorn sheep like the fruits. In fact, humans do to! 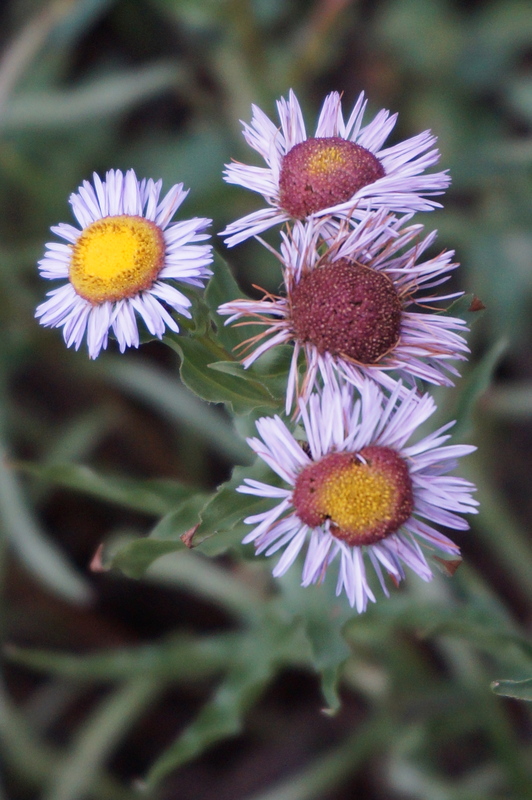 But always make sure you have proper identification before you eat a wild plant. 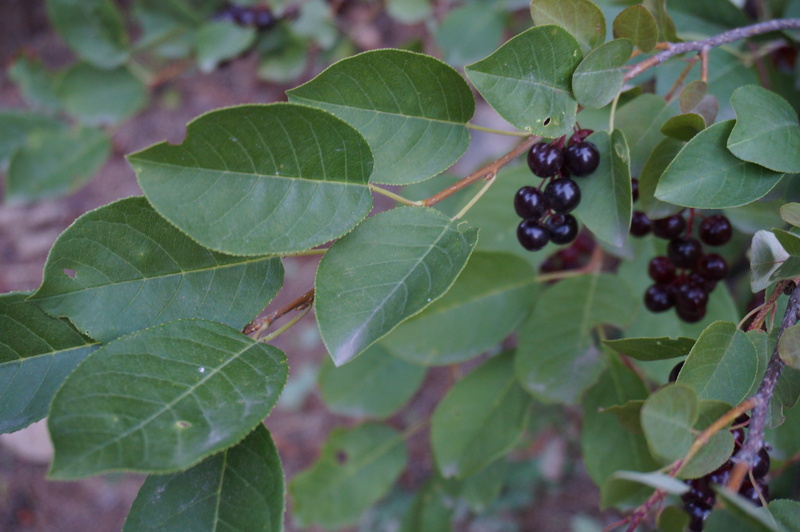 Chokecherries, Prunus virginiana, can be found coast to coast, but they are pretty famous out west for being one of the ingredients in pemmican, a food that keeps well so was used by the Native Americans and early traders. 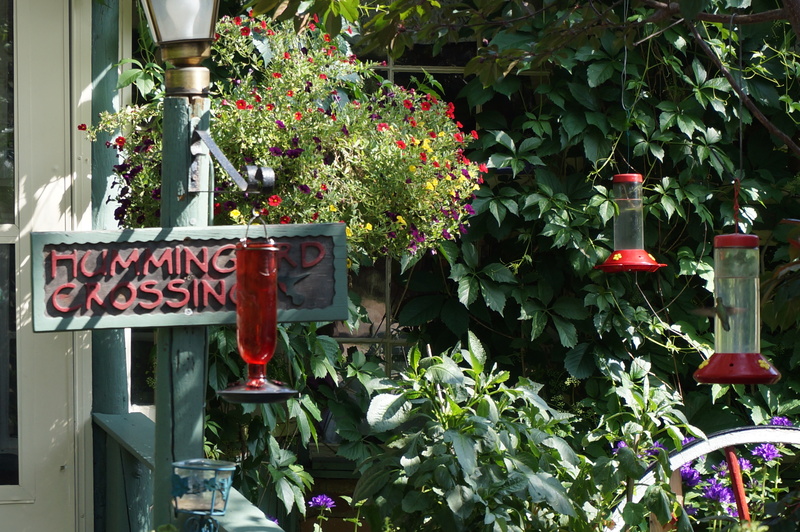 Coney here again today with a wildlife visitor Colorado humans don’t seem to mind in their yards: hummingbirds. I wish they were as fond of squirrels! It seems—to me anyway—every yard has that red juice hanging in a tree, designed to fill the space between branches with the burrrrr of beating wings. I made a mistake on Monday when I said the Eastern U. S. only has one species—there are more, three in Virginia. Colorado has eleven, so you can see the numbers are staked strongly against us squirrels. We’re even in competition for making noise! 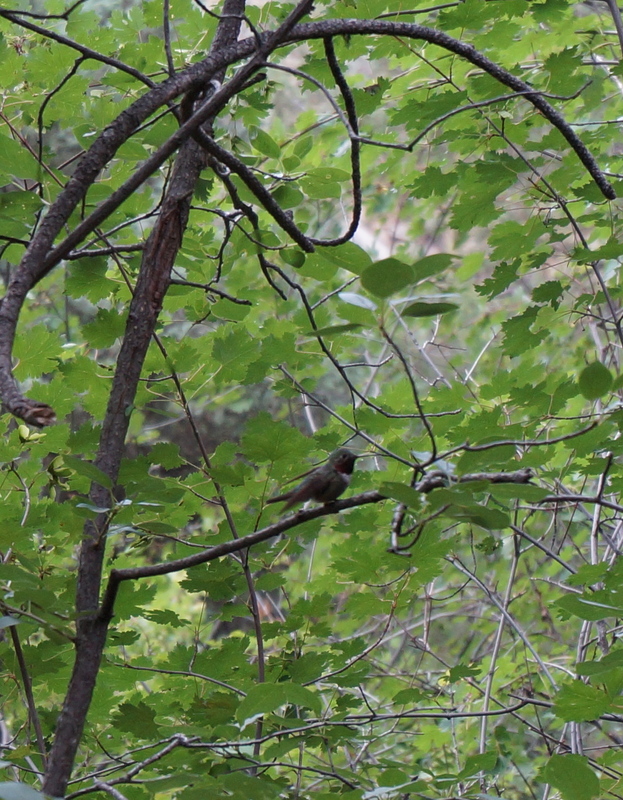 Squirrels can chatter quite loudly, but this Broad-tailed Hummingbird has a tail that buzzes as he flies! 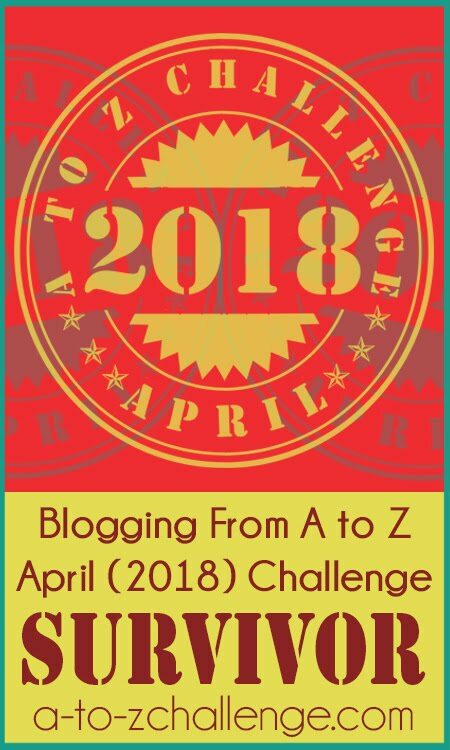 No effort–can you believe it? There’s no denying these little birds are high in cuteness, so we just steer clear for the few months they’re visiting. Yes, visiting. 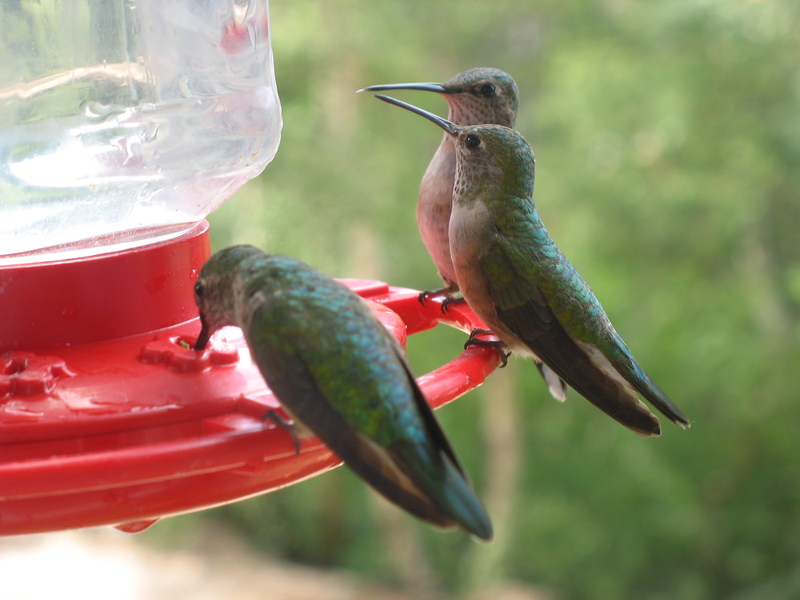 Hummingbirds arrive here in the spring and depart for Mexico in early September. 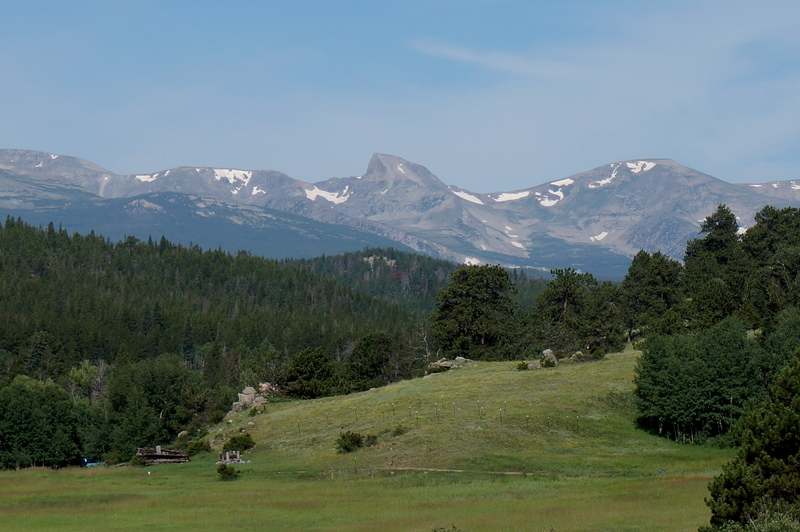 I’m your Coney, your Field Correspondent with nature happenings from the Rocky Mountains. Sticking with The Squirrel Nutwork’s theme, today I’m talking about water in my mountain neighborhood—or lack of it. While we’ve had a bit of rain nearly every day of late, the eastern side of the Rockies tends to be dry. As those clouds blow across the United States from west to east, they can’t rise over our tall mountains while full of water droplets. Instead, they drop most of their moisture on the west slope of the Rockies and the air that blows on over is dry, dry dry. 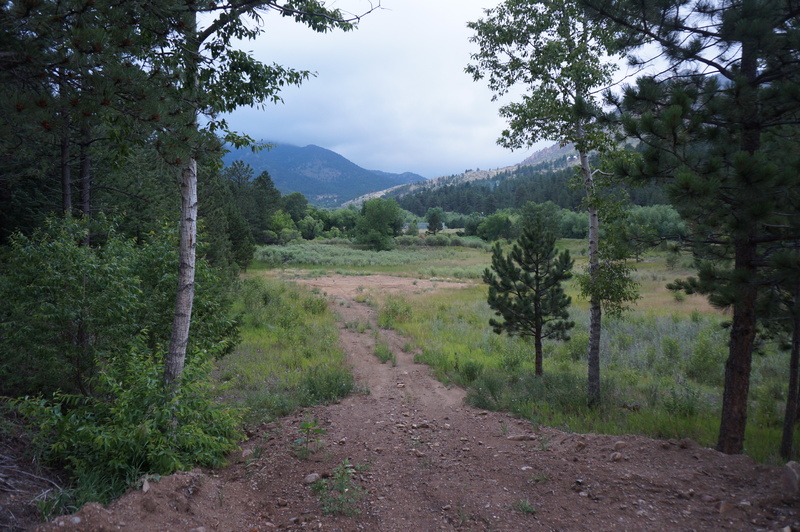 Our water here on the Front Range comes from snowmelt. 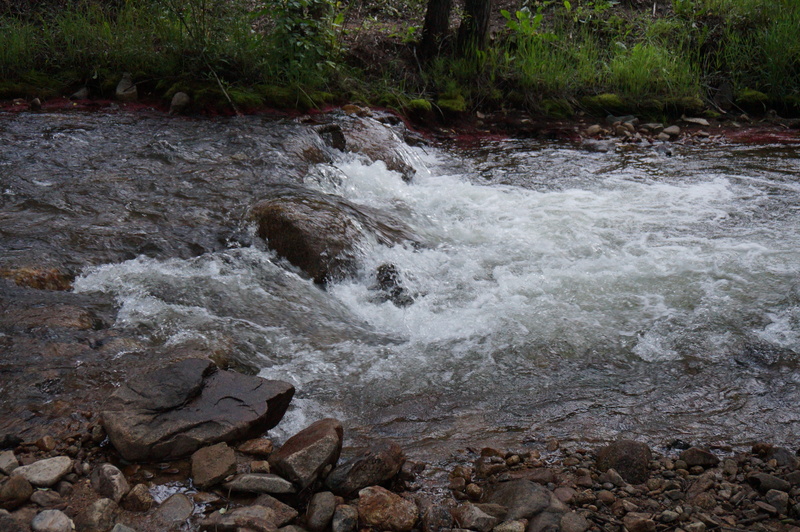 From high in the mountains, it travels our streams and creeks, gathering into larger rivers. So the amount of water available in our neighborhood—for humans and wildlife—is determined by how much it snowed last winter! Looking a little bare, isn’t it? By October my creek will be at a trickle. But then it will be getting cold enough to snow again. 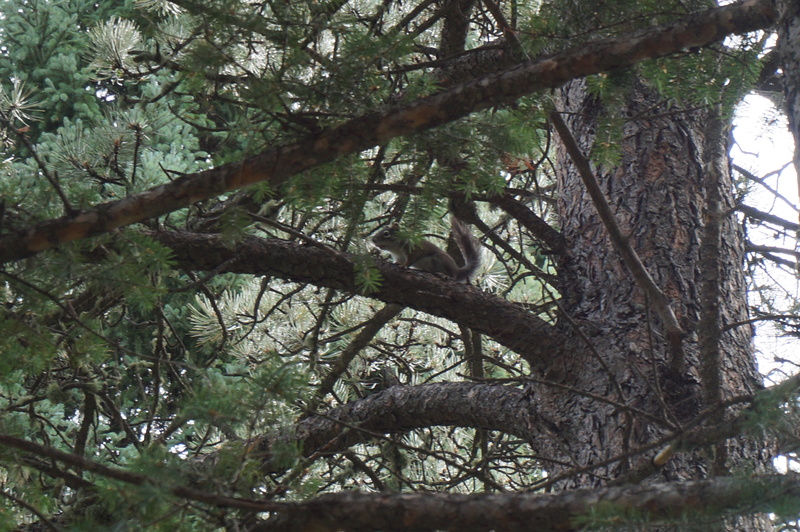 Another report from your Colorado Field Correspondent, Coney the Pine Squirrel. 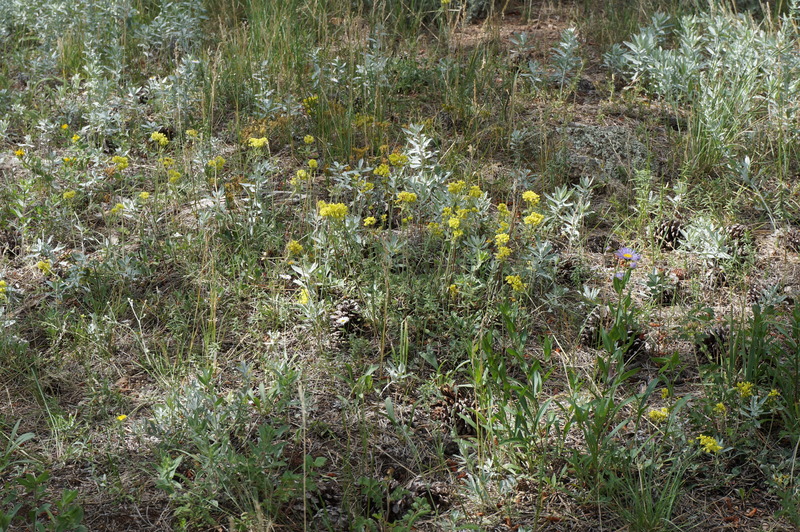 I might have shown you the wildflowers in my mountain town before, but we squirrels have short attention spans. You humans might also. 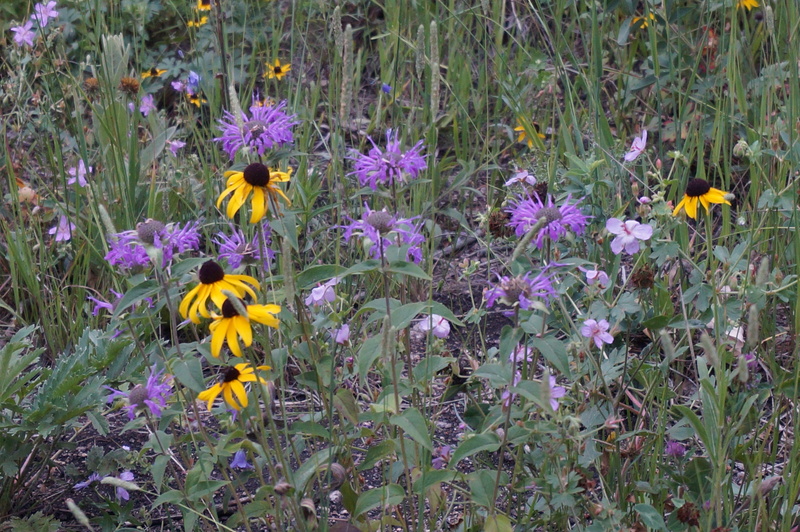 But I poked around to find some of the best blooms. 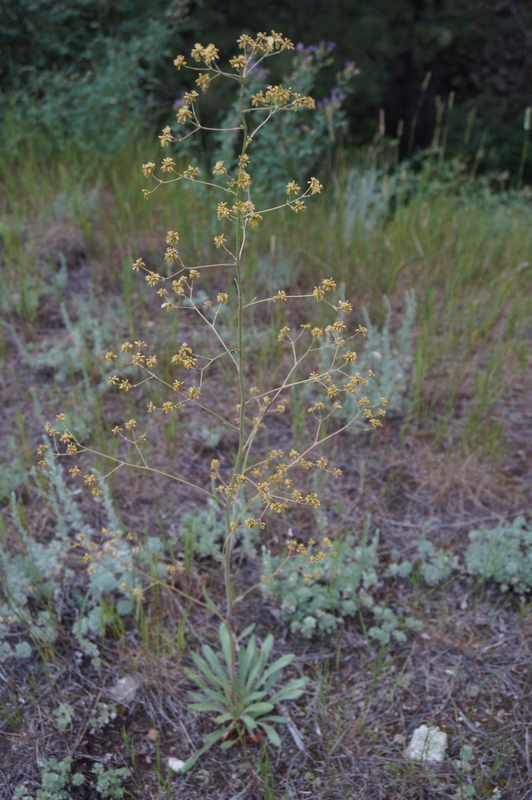 I think this last one is Common Alumroot, from a photo on this great Colorado Wildflower website . I don’t have a Miz Flora living in my neighborhood, so my identification isn’t fool-proof. Yet, I still have a mystery. 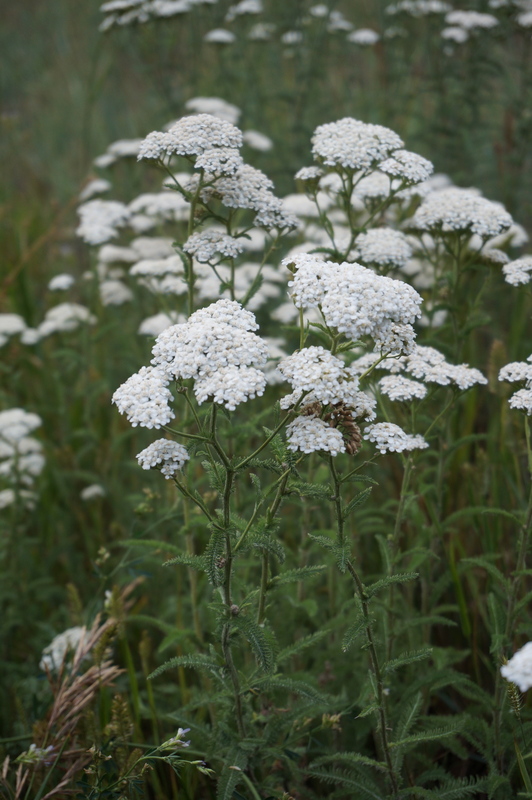 Do any Squirrel Nutwork readers know what this flower–or possibly a seed head–is? I’d like to think it’s a Truffula Tree, but I’m sure it’s not. Hope you liked our flowers! 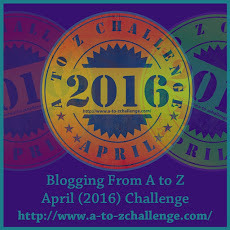 P. S. One of our readers solved the Truffula Tree mystery! 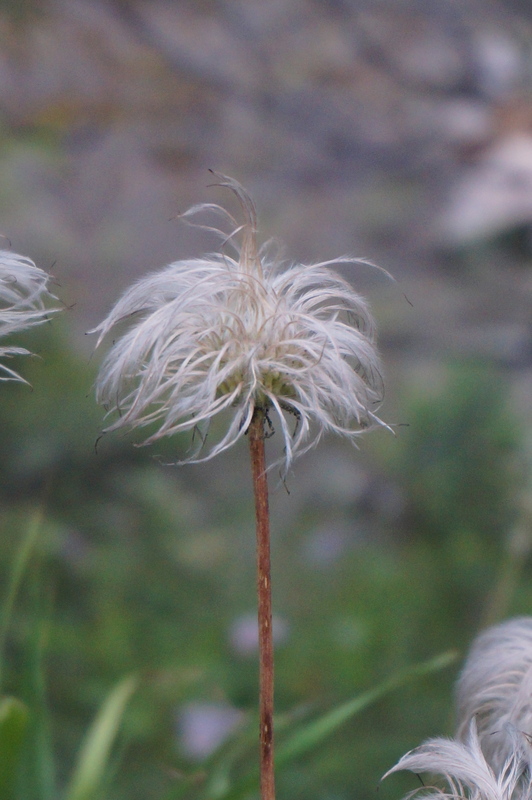 It’s the seed head of a Pasque Flower and here is a link to another great wildflower site. Thank you, Connie! It’s great to have readers sharing information. 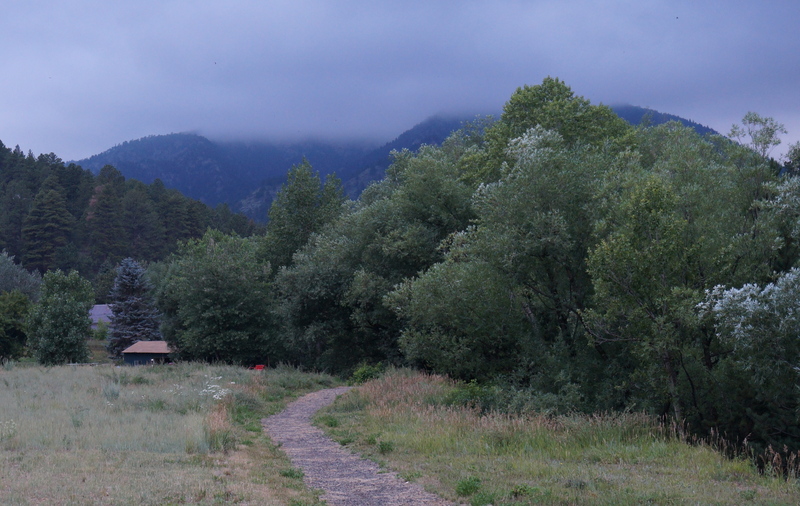 Again, I’m Coney the Pine Squirrel, your Colorado Field Correspondent. 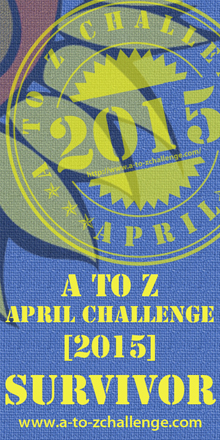 It’s Tuesday, one of the days Nutmeg tells me I can talk about anything I like on the blog. She did warn me not to get off topic. It’s got to be related to nature and squirrels. That’s as easy here as it is in Virginia, even though my suburb doesn’t have sidewalks for me to run along and discover things like Nutmeg does. Gravel is the surface of choice here. But that doesn’t matter to me, I stick to the trees, which there are plenty of, spruce and pine in this case. Those are so common around here, they get rather ho-hum, especially when it comes to eating. But once a year we have a real treat in my neighborhood. Cherries. Every neighborhood should have cherry trees. We squirrels descend on this little grove. Unfortunately, another wild neighbor also discovered them this year, which might ruin things for us squirrels. 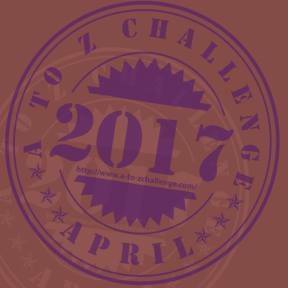 Do you readers know which wild animal it was? Here’s a closer look at clue below the broken limb. 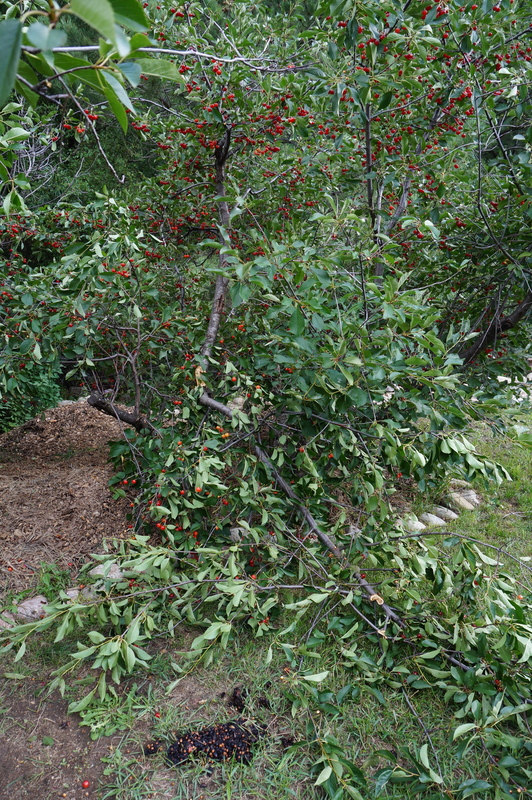 A black bear tried to climb this tree. 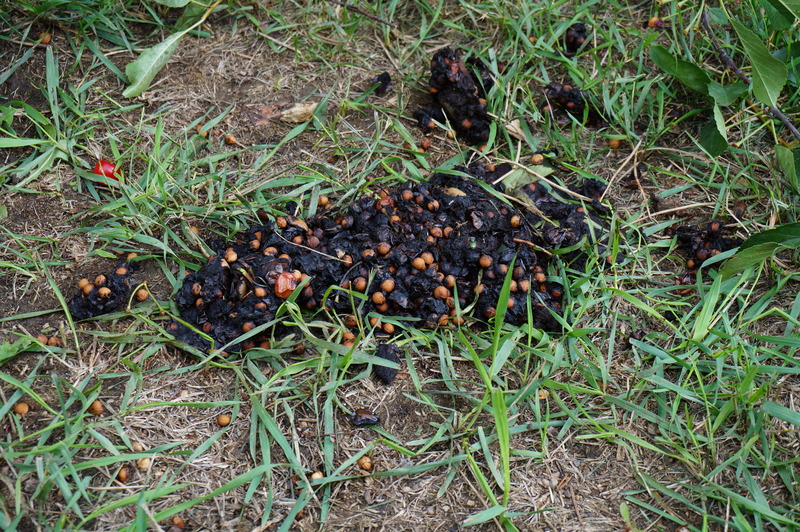 We local squirrels get by pretty well with the humans who have spread to living in our mountains, but the bears aren’t doing so hot. They’re big, eat a lot, and if it’s at a human dwelling, scare the residents. You might think this is just a western problem, out where there is more wilderness land. Nope. When I wrote to Nutmeg we’d had several bears in my neighborhood, she said some were spotted in her Washington D.C. suburbs, even getting right downtown into the city. Living with wildlife—even BIG wildlife is something every human needs to be aware of. They might be just as cute as us squirrels, but some wild animals don’t belong in your backyard habitat. 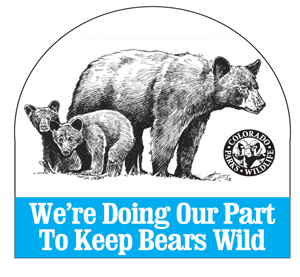 Learn how to keep the bears out of your garbage can, your cherry trees and your house on this information website by Colorado Parks & Wildlife. 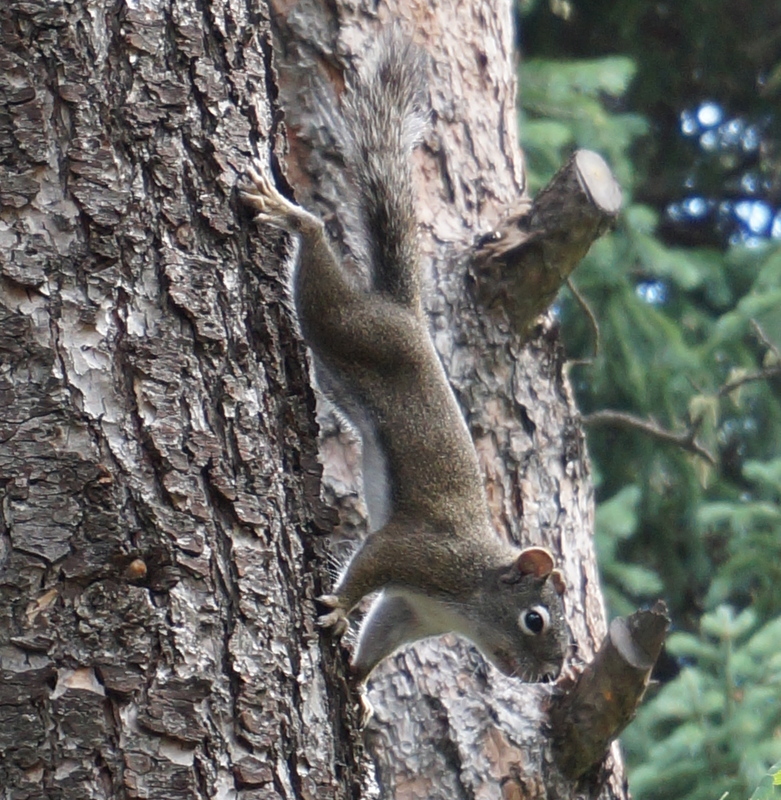 I’m Coney, a Pine Squirrel from the suburbs of the Colorado Rocky Mountains. There’s my photo added in so you know how different I look from the regular Squirrel Nutwork team. I’ve had a few visits with Nutmeg and Hickory over the last year and know the blog ropes now. 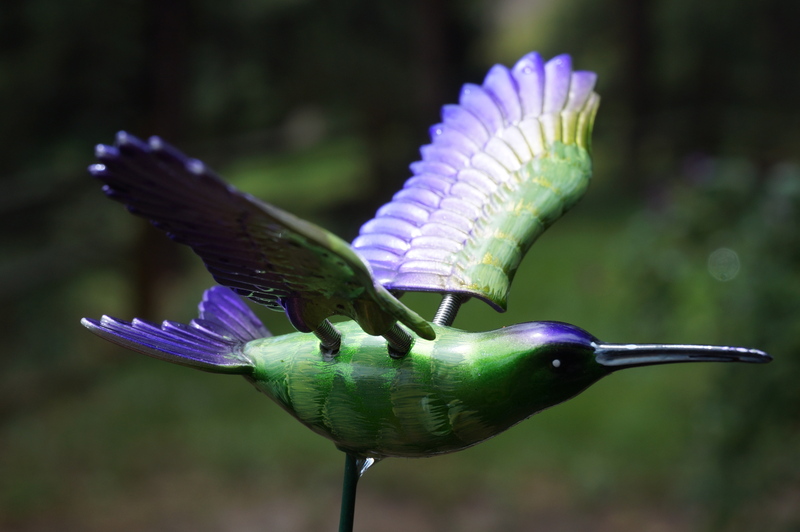 Let’s start off our week together with something familiar to all suburban gardeners–a wildlife statue. Yep, we have them in Colorado, too, but ours take on the flavor of the mountains. See? From what Nutmeg tells me, the Eastern US only has one type of hummingbird. We have many. Not that I’m much of a birdwatcher, but I do notice they are different colors. But more of that later this week! My tails all a twitchin’ with being able to share nature happenings from my mountain home! In a change of pace, we have an insect for you to ponder over today. 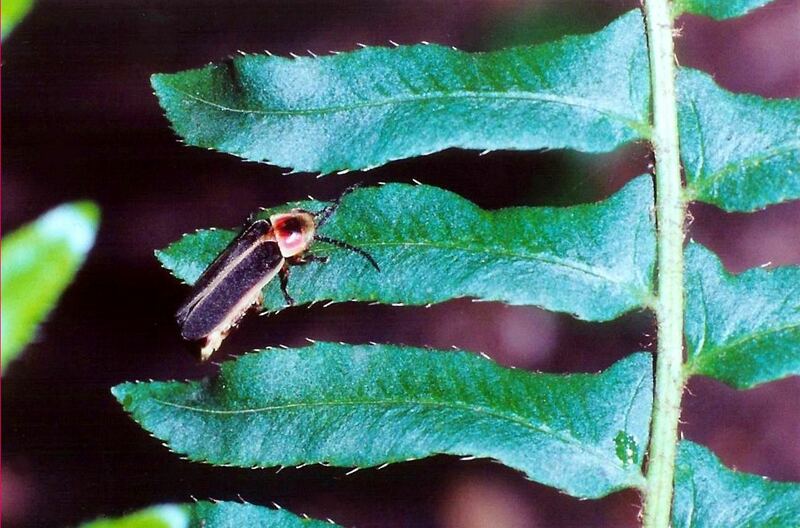 This beetle is a Firefly, or Lightning Bug. We squirrels are rarely up at night, so don’t often see the fireflies like you humans do. But with our shorter days, and us starting our fall harvest, we’ve noticed the fireflies are definitely nearing the end of their season with only a very few flashing these last few evenings. In other news, Nutmeg and I are turning over the blog to our Colorado Field Corespondent for a week We need to get a jump on gathering Hickory nuts for our winter cache (See, I’m already in the Colorado mood, using western slang!) Tomorrow we hope our regular readers will welcome back Coney the Pine Squirrel. See you later! 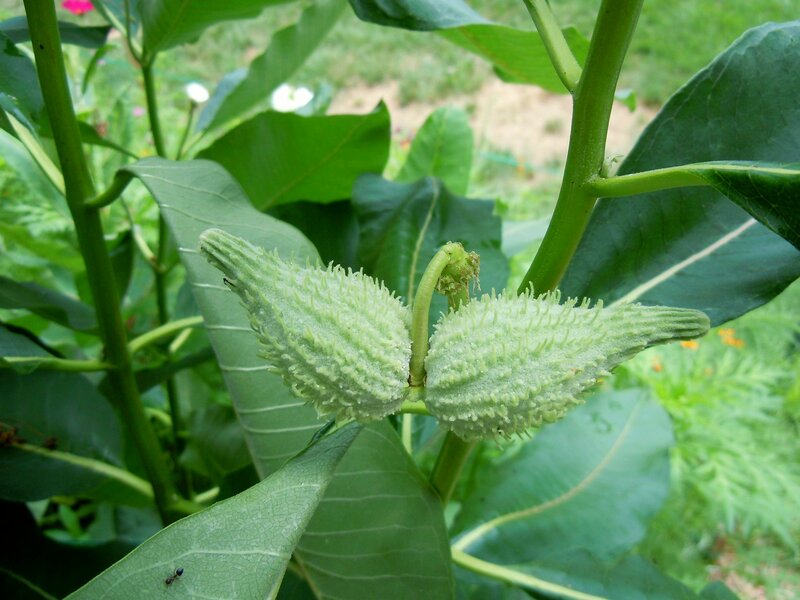 I don’t think we ever mentioned that the Common Milkweed, Asclepias syriaca, produces its seeds in huge pods. They are ripening now. We can’t think of any animals or birds that eat them. Tell us if you know of any! 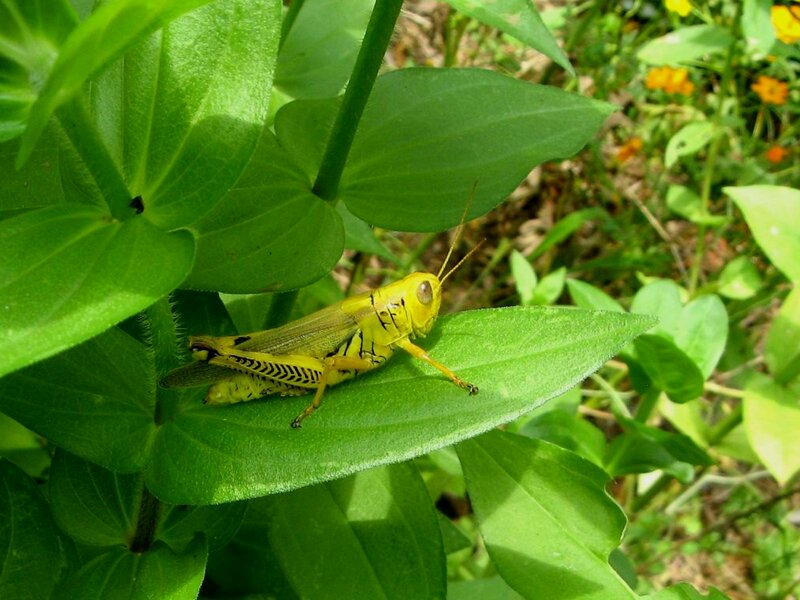 You can tell summer is well advanced by the size of the grasshoppers. This one is huge –definitely an adult that has gone through all its growth stages. 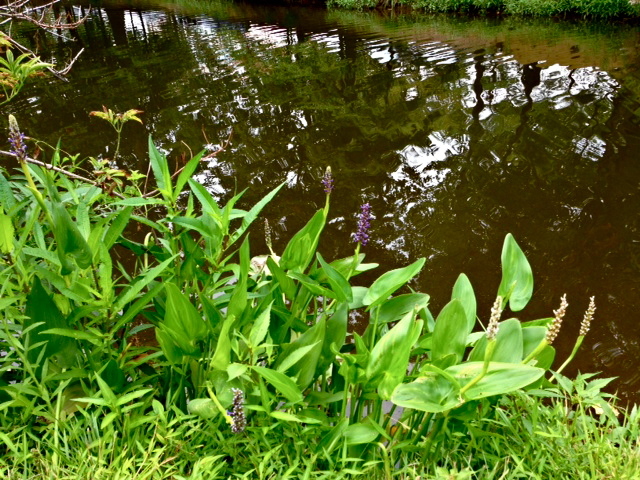 Along one of the local ponds the adventurous Hickory and Nutmeg found a pond plant Ol’ Wally hasn’t featured before. 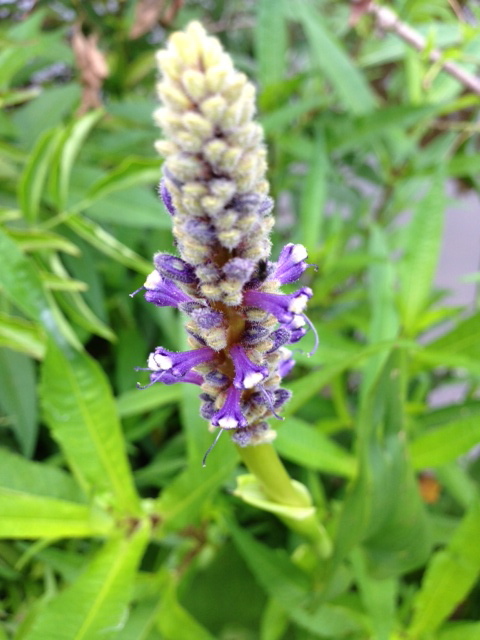 Pickerelweed, Pontederia cordata, is common along pond edges but is also widely planted, so we’re not sure how this plant came to be here. 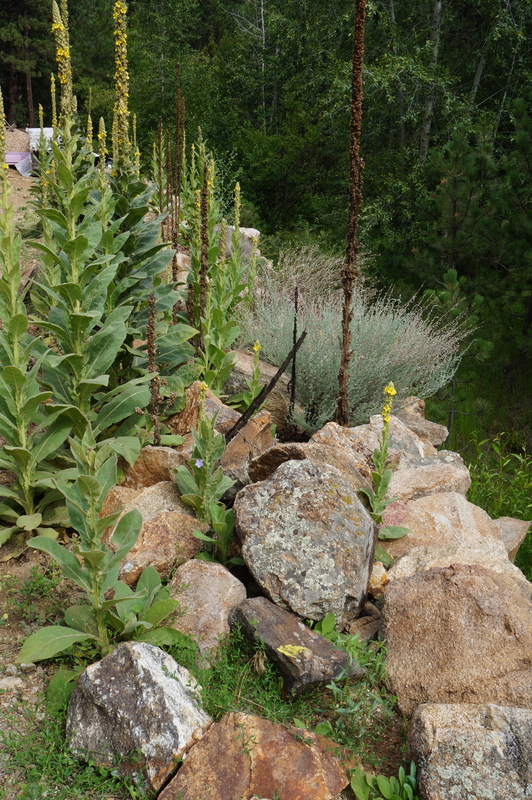 It has distinctive blue to purple flowers in spikes rising above the long leaves, making it fairly easy to identify. Miz Flora claims they are heart-shaped, but that’s only at the base. They are so long I don’t think of them that way. This plant was mixed in with many others and Nutmeg didn’t really pay much attention when she was photographing, so you can’t see the leaves that go with the flower in the close-up.